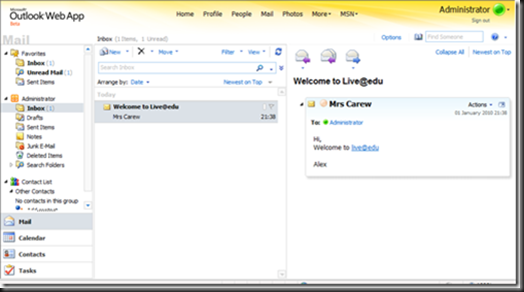 There are many email products that could be used for the Learning Gateway but if you ask most people they will say they use Microsoft Exchange. Microsoft recently released their latest version of Exchange (Exchange 2010) which we will look into further in a few posts time. Cloud computer is being pushed by many different organisations including Microsoft, BECTA and the IT industry. I personal read Computing Magazine which arrives every Friday in the post and they have many articles that talk about how businesses are saving large amount of money by using such services as Microsoft Online (BPOS), Windows Azure (Microsoft’s Online web application in the cloud which includes SQL Server – http://www.microsoft.com/windowsazure/). Many schools are moving to Building School for the Future in the UK which is an education revamp programme to give the school a wonderful new building but also to change the way education works within the school using IT. This includes a managed services by the successful bidder which includes a hosted solution of the Microsoft Learning Gateway as an example. The idea is that the IT services are not kept school but kept in a secure data centre somewhere away from the school. This is the current trend in cloud computer in the education industry. 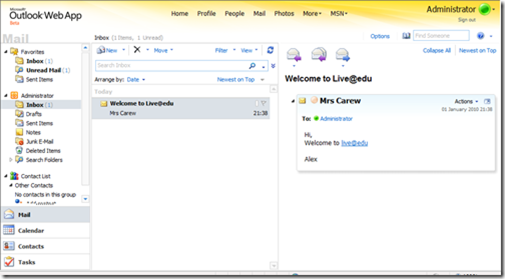 Microsoft live@edu is a free offering to any school world wide of an email system. You don’t have to pay anything. There is no limit to the number of mailboxes you can have so all students and staff can have one. Universities are also taking live@edu as their default mail client as they are seeing the cost savings from this such as University of Ulster and Washington State University. From this you will not have to buy a 64 bit server to host the Exchange on, the Exchange license or the Client Access Licenses for the product. 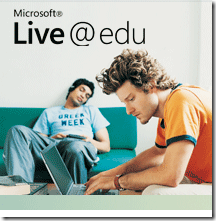 Live@edu also takes advantage of some the other free offerings from Microsoft Live. These includes Live Profiles allowing for each person to have their own profile and blog. 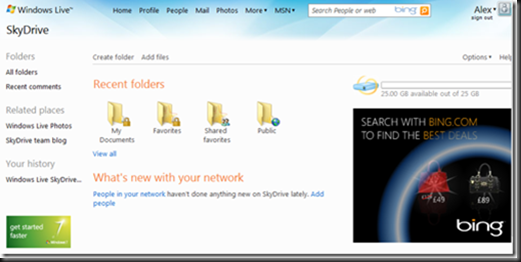 You can also take advantages of Microsoft Workspace but they best of the lot is SkyDrive. When you register with live@edu not alone do you get a 10GB mailbox but also 25GB of free storage space to store you data. No school can offer that amount of storage without a large budget for storage. In the future Live@edu is going to become integrated with an online offering of SharePoint 2010. This is very exciting but there are not many details available. 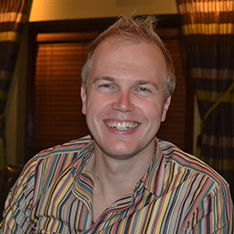 Have a look at this http://liveatedu.spaces.live.com/blog/cns!C76EAE4D4A509FBD!1659.entry. Here are a few screen shots from the demo school I have just setup.